This campaign is no longer active. To view a list of UNAOC’s active projects and initiatives, click here. The United Nations Alliance of Civilizations (UNAOC) in partnership with UNESCO and a wide coalition of partners from corporations to civil society is launching the world campaign “Do One Thing for Diversity and Inclusion”, aimed at engaging people around the world to Do One Thing to support Cultural Diversity and Inclusion. 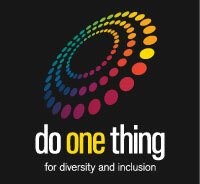 Join the worldwide campaign, “Do One Thing for Diversity and Inclusion”, like the Facebook page and encourage your neighbors, your family, your friends and your coworkers to Do One Thing to support Diversity and Inclusion on the World Day for Cultural Diversity for Dialogue and Development on May 21. Ten simple things YOU can do to celebrate the World Day for Cultural Diversity for Dialogue and Development on May 21. Spread the word around you, family, friends and invite people from a different culture to share your customs. Tell others about this day. Organize an event and contact us to put your event under the umbrella of the campaign. Are you passionate about promoting diversity and inclusion? Does your organization share our vision?